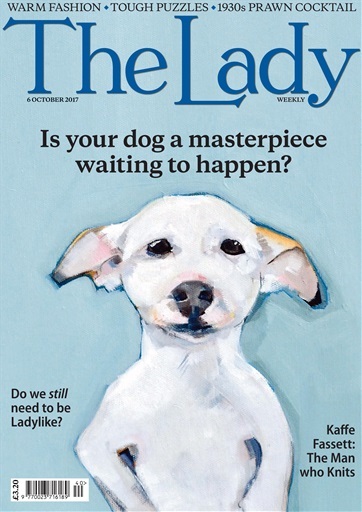 The Lady magazine is the ideal balance of fashion, beauty, lifestyle, cooking and more - perfect for the modern women. Packed full of intelligent and thought provoking articles. The Lady is here to provide you with inspiration, culture and all the latest on current affairs - you can always be the first in the know. The Lady digital magazine subscription will ensure you get all the latest beauty advice, tasty recipes and gardening tips from a selection of the most brilliant writers. Whether you’re looking for advice on how to keep your hair healthy, how to cook the yummiest hot cross buns or guidance on which book to read next, The Lady is here to help you. Join the thousands of current readers with a digital subscription to The Lady magazine today - the ultimate twice monthly for all ladies! First beginning in February 1885, The Lady’s reputation for setting the benchmark in quality reading has always been at the forefront of importance. With their beautiful head office situated in the renowned Covent Garden, The Lady magazine has always been the quintessential choice of magazine for the elegant lady. The Lady was initially infamous for its domestic advertisements for a variation of house staff and survived through two World Wars to continue serving ladies alike with cleverly chosen articles. The magazine maintains a focus on cooking, home decor, gardening, health and fashion. With the many changes to editors since the magazine launched, The Lady continues to modernise in content and style, whilst always keeping its original style and quirks. 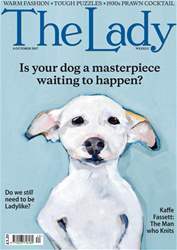 The Lady is now fast becoming England’s most talked about women’s magazine and continues to provide thousands of readers with the most enthusing articles. Whether you’re looking for a regular update on current affairs, or just tips and advice to keep you at the top of society, The Lady is available to provide it all.